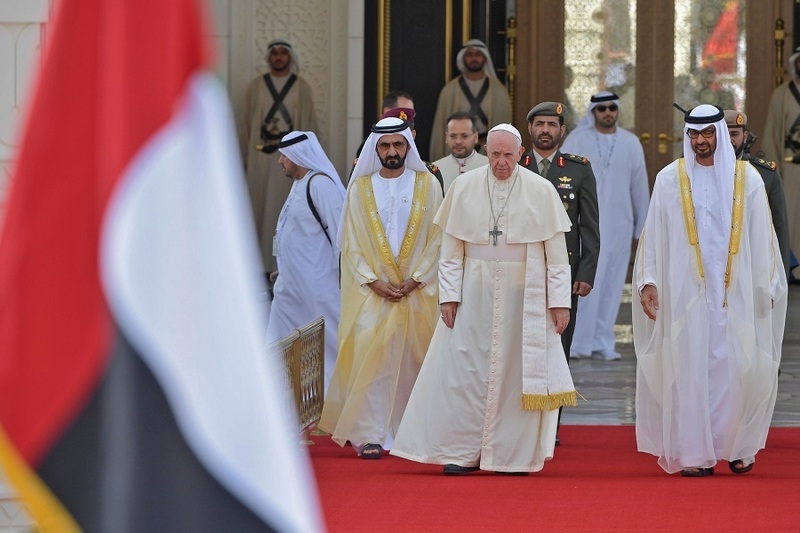 Pope Francis visits the UAE for a landmark, three-day visit which took place from February 3 to 5. It was the first time a Pope has ever come to the UAE. The visit coincides with the UAE’s celebration of the Year of Tolerance, which was declared by H.H. Sheikh Khalifa bin Zayed Al Nahyan, president of the UAE in December 2018. The Pope’s iconic visit to the UAE comes after an invitation was extended by Sheikh Mohamed bin Zayed, Abu Dhabi Crown Prince, during his visit to the Vatican in 2016. Pope Francis arrived at the Abu Dhabi Presidential Airport on February 3, and was greeted by Abu Dhabi’s Crown Prince, along with key UAE dignitaries. On February 4, there was a welcome ceremony at the main entrance of the Presidential Palace, followed by an official visit to the Crown Prince at the Palace. On the same day, the Pope also visits the Grand Mosque and attends a private meeting with members of the Muslim Council of Elders, after which the International Interfaith Meeting, the primary cause for the Pope’s visit to the UAE, took place at the Founder’s Memorial. At the International Interfaith meeting, Pope Francis also was presented with a copy of Celebrating Tolerance written by the Reverend Andy Thompson, MBE. The book is the first of its kind to be published to coincide with the Year of Tolerance, and features a foreword from HE Sheikh Nahayan Mabarak Al Nahayan, UAE Minister of Tolerance. It was presented to Pope Francis by Sheikh Nahayan. 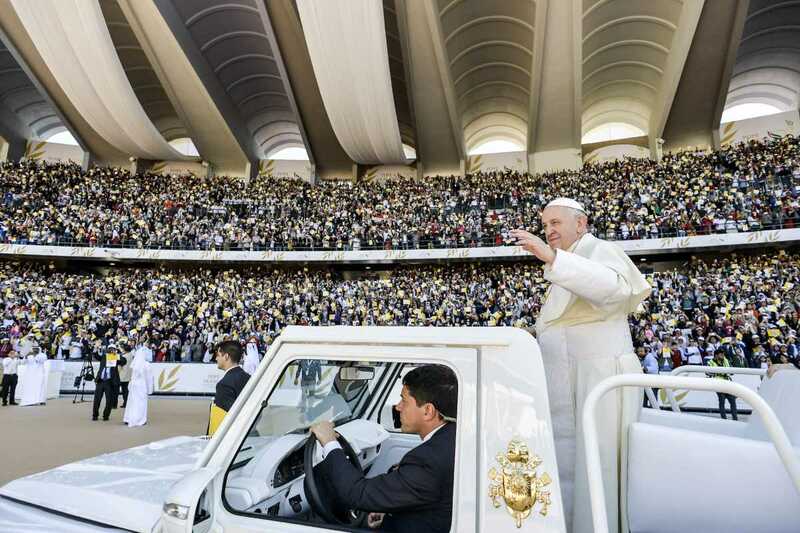 On February 5, the Pope paid a private visit to the Cathedral in Abu Dhabi followed by the Holy Mass at Zayed Sports City Stadium. A farewell ceremony was held at the Abu Dhabi Presidential Airport, after which the Pope departs back to Rome. However, to secure a spot at the mass at Zayed Sports City Stadium in Abu Dhabi on February 5, you need to have a ticket. An estimated 120,000 will be able to witness the mass in person, which means there is a chance of being able to score the golden ticket to the much awaited Papal mass.